A very high quality yet affordable line pre-amplifier featuring Icon Audio's customary impeccable build quality. Ideal for virtually any type of power amplifier. - ALPs Blue motorised volume pot. - Attractive valve cover available (£50 extra). 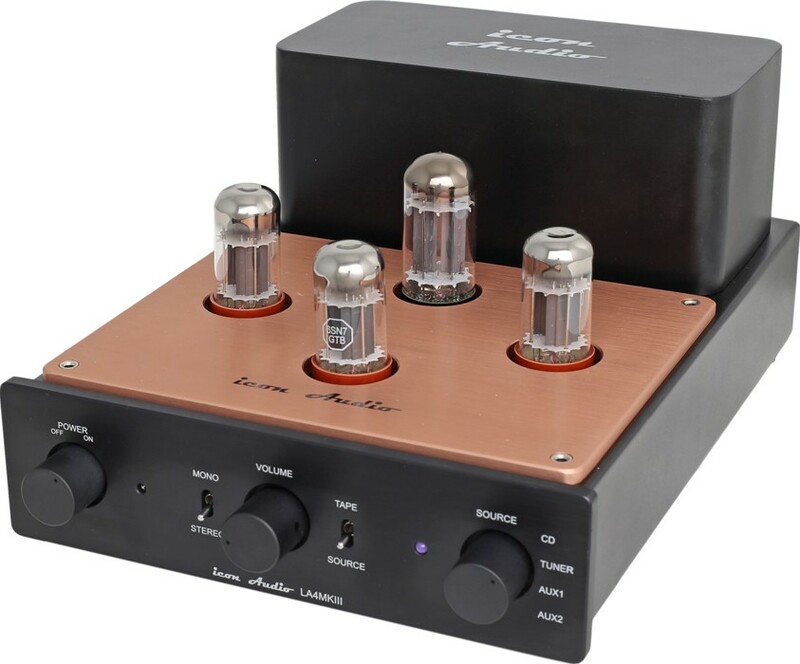 The Icon Audio LA4 MkIII pre amplifier replaces the LA2 MkII and is a line pre-amplifier of outstanding quality. Building on the success of the earlier marques, the LA4 MKIII has improved cosmetics and an upgraded circuit. Now with lower feedback and lower gain the macrodynamics and soundstage are enhanced. A deceptively simple high quality single stage design followed by an output buffer. 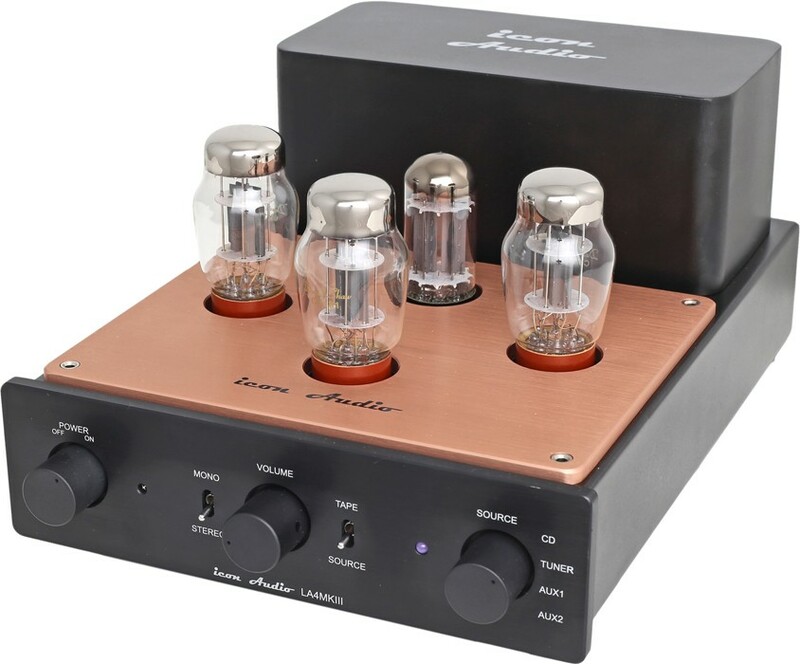 But what makes the LA4 MkIII special is the power supply and “finely tuned” design. 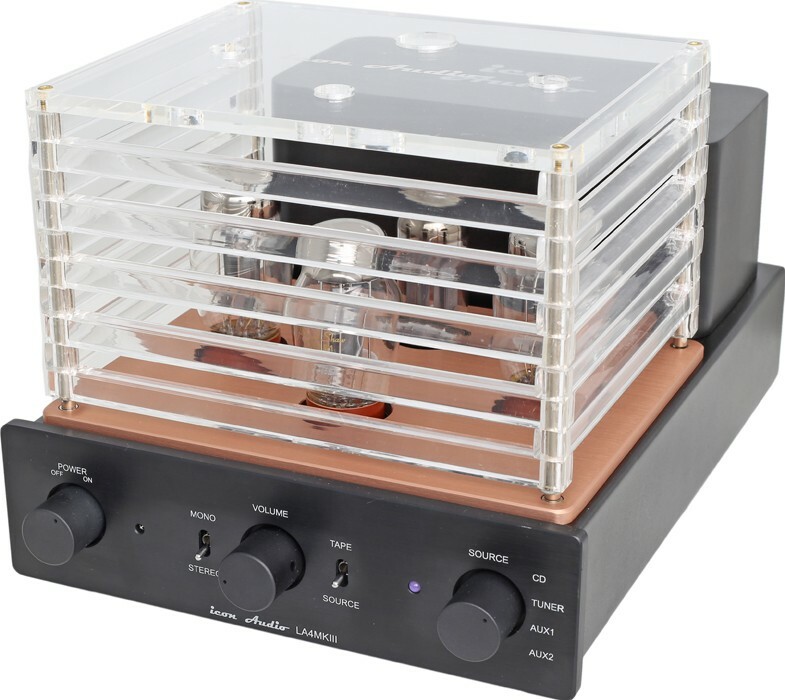 A high end pre amplifier must have the best power supply. The LA4 MkIII has two chokes in double Pi configuration for well conditioned power giving superb smoothing for velvety inky black silence. The rectifier valve, which makes a surprising difference, is the excellent 274B. 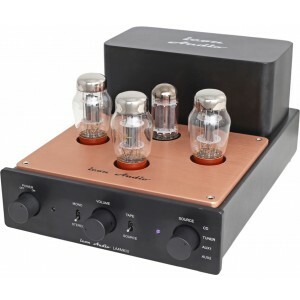 This outstanding Western Electric design is probably the best sounding power valve available. Like all of Icon Audio's equipment, the LA4 MkIII is very solidly made. It has a heavy alloy and steel chassis. The internal wiring is all “point to point”, “hand wired”, this is essential for valve amplifiers, and allows for upgrading to larger capacitors, and makes future servicing very simple. A very fine pre amplifier indeed.